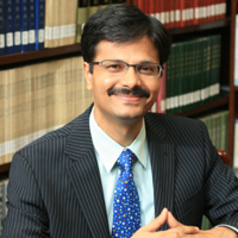 Dr Surya Deva is an Associate Professor at the School of Law of City University of Hong Kong. He holds BA (Hons. ), LLB and LLM degrees from the University of Delhi and a PhD from the University of Sydney, and has taught previously at the Faculty of Law, University of Delhi and at the National Law Institute University, Bhopal. Dr Deva’s primary research interests lie in Business and Human Rights, Corporate Social Responsibility, Indo-Chinese Constitutional Law, Globalisation, and Sustainable Development. He has published numerous book chapters and journal articles in these areas. His book entitled Corporate Human Rights Violations: Overcoming Regulatory Hurdles was published by Routledge in 2012. Dr Deva has also co-edited two books: Human Rights Obligations of Business: Beyond the Corporate Responsibility to Respect? (Cambridge University Press, 2013) and Confronting Capital Punishment in Asia: Human Rights, Politics and Public Opinion (Oxford University Press, 2013). In 2009, the International Commission of Jurists had commissioned Dr Deva to prepare a report on Access to Justice: Human Rights Abuses Involving Corporations – The Peoples’ Republic of China. Dr Deva is also the Faculty Editor of the City University of Hong Kong Law Review.